3 Ways To Make Your Video Go Viral in 2018! What Exactly is a Viral Video? The dream of every vlogger is to create a video that will become so viral, thus making them a YouTube celebrity. The problem is that the chances of that happening are very low. One of the reasons why that’s the case is that the competition is huge. There are almost a billion hours of video material on YouTube at the moment. Furthermore, over 300 hours of video get uploaded to this platform every minute. This means that the chance that your video will reach millions of views is tiny. Still, there is hope! More than a fifth of the entire world’s population is on YouTube, meaning that the demand for new interesting videos is massive. If you play your cards right, you can make your video go extremely viral! Although there’s no official definition of what a viral video is, it’s fair to say that it’s any YouTube clip that becomes hugely popular in a short period of time. That happens through sharing on social media, email, and popular websites, and so on, but also by getting views via YouTube’s search engine and algorithm. According to the YouTuber Nalts, each video that gets over 5 million views in less than a week is generally considered viral. In the past, the number of views needed for a video to be qualified as “viral” was much less, but it grew larger as the number of YouTube users increased. At the moment, the title of the most viral video ever holds the Kony 2012 video, made by Invisible Children, Inc. It reached 34M views in only 3 days since the upload. Another good example of a viral video is Gangnam Style a song by South Korean rapper Psy, which reached a billion-view milestone after only 5 months. Music Videos – 95 out of top most-viewed YouTube videos are music videos! At the moment, Despacito by Luis Fonsi and Daddy Yankee is topping the list with over 4 billion views! Funny Animal Videos – People love to laugh, which is why it is not a surprise that videos featuring cute animals go viral pretty often. Funny Falls and Mishaps – According to Dr. William F. Fry, the founder of gelotology (the science of laughter), it’s natural for humans to find it funny when someone falls or suffers a minor misfortune. Of course, it’s not funny if the accident has serious consequences, although even such videos attract the views of curious minds. Inappropriate Videos – People love watching scandalous videos that challenge the common decency. The only reason why such videos are not more popular is that YouTube either bans them completely or allows only adults to watch them. Celebrity Videos – Everything certain celebs do is interesting to some people. This means that even the most seemingly boring celebrity videos are getting a lot of views on YouTube. Still, the videos with celebrities falling down or getting into fights are usually the ones that get the most attention. As you can see from the examples above, luck plays a major role in the world of YouTube. This means that all you need is a lucky break! Unfortunately, an average YouTuber doesn’t get the opportunity for making the videos that would get viral on their own. Rather than relying only on the lady luck, vloggers need to do their best in order to make their videos popular. Although doing it is not easy, making your videos viral is definitely not impossible! So, how to make a video go viral? Here are a couple of things you could do in order to improve your video’s chances of going viral! The fact is that a big majority of YouTubers are making vlogs just for a hobby. They’re not professionals, which means that their knowledge of online marketing is rather limited. In fact, many of them don’t even know what SEO is. That’s exactly where your chance is. By doing a proper search engine optimization, you will make your video rank better on YouTube’s search results page. In turn, this is bound to get you more views! By adding proper keywords in video title and description you will let YouTube’s algorithms know what exactly your content is about. This way, you will be able to expose your videos to those users interested in the subject. Another thing to pay attention to is that that the titles and descriptions make sense, even when they’re rich in keywords. Using the proper video tags can be your advantage over the competitors. The fact is that not many vloggers are using the YouTube tags, at least not for all of their videos. You can put up to 500-characters-worth of keywords, so make sure to pick the best ones. By best, we mean those that are very popular at the moment, but also those for which the competition is low. Cross-platform promotion is one of the best ways to get people interested in your videos. By posting your videos on social media sites like Facebook, Twitter, or Instagram, you will be able to spread the word about them easily. One of the key factors in SEO is back-linking. What this basically means is that the search engine ranking is heavily influenced by the number of links directed towards the video in question. But, it’s not just the quantity that matter, but the quality as well. Actually, catching the eye of an influential website can be your ticket to YouTube fame! In order to evaluate the potential of a video for getting viral in the future, YouTube uses an algorithm called the “reference rank”. If it finds that your video has a large viral potential, you will be approached via email with a profit-sharing proposal. This is how the video David After Dentist managed to earn more than 100k dollars for its creator. The reference rank algorithm checks videos with the current views count that’s as low as 10k. It uses several different criteria to predict the video’s popularity, the most important of which is whether influential sites have shared it. The higher the influence of a website that shares your content, the more views the video is likely to get. For example, the video David After Dentist was posted on Reddit at the time when it had only a thousand views on YouTube. Three days later, the count grew to 6 million! Actually, Reddit is a website responsible for making dozens of videos viral. But, it’s not only Reddit that you should pay attention to. Regardless of which popular website features your video, you can be sure it will pump up the views. The real problem is how to make those sites learn about your video. Again, the fierce competition is a big problem. Editors of popular websites simply don’t have enough time on their hands to check every single YouTube video. Rather than hoping that someone would come across to your video, the solution is to reach out to them. Unfortunately, this is a process that takes time. In order to reach big websites, you need to go one step at a time. The chances are that the website editors won’t even notice your video unless it’s recommended to them by someone they respect. That is why you should try to make an influencer interested in your video! By definition, an influencer is a user whose opinion on a certain subject matters to a large number of people or a smaller group with an even larger influence. Rather than targeting the whole audience, you should try to get in touch with an influencer who will then spread the word about your video. This way, you will ensure that it will reach the right audience, that is, the blog owners and editors of popular websites. But, it’s not enough to catch the attention of just any influencer. You need to make your video interesting to the influencers from your niche! Each year, Forbes magazine compiles a list of top influencers in the world, separated into different categories – sport, travel, parenting, and so on. It would be wise to take a look at it and try to find a way to get in contact with those people. 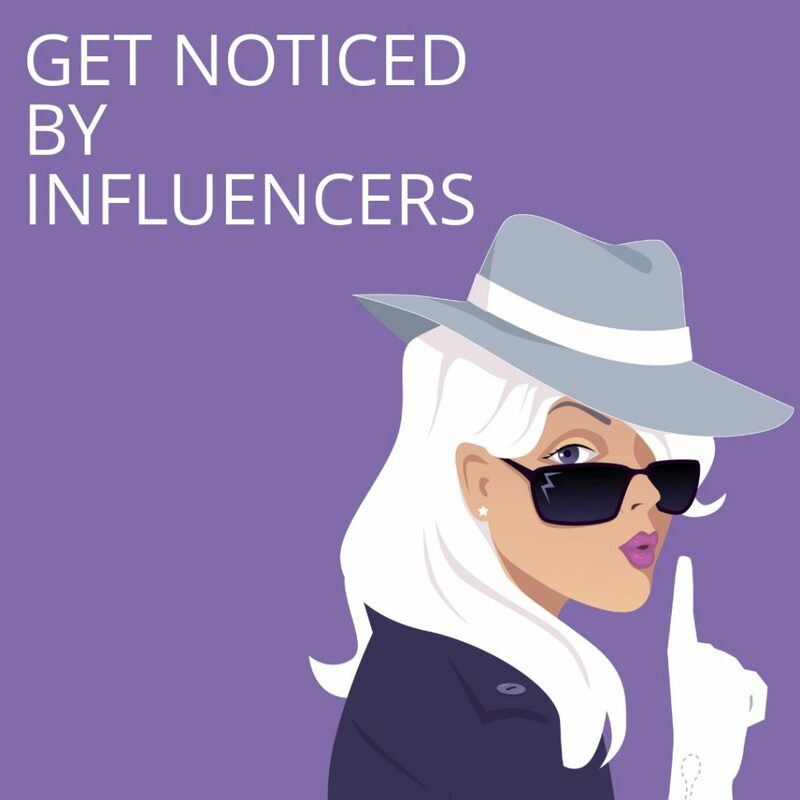 Usually, getting in touch with the influencers is done via social media. You can be sure that all of them are very active on sites like Facebook and Twitter. Still, sending them tweets and messages does not necessarily mean they will read them. In that case, it might be wise to get through them via their friends, that is, other users they find influential. You can spend millions of dollars on promoting your video, but we assure you it won’t become viral unless it’s really good. So the first problem you need to solve is how to make a viral video. That is why you need to do everything in your power to make the very best video. You need to cover all bases, starting from the topic. If the video’s subject is not trending at the moment, the chances are that not many people will care about it. You also need to ensure that the video looks nice visually. It also needs to be dynamic, so that the viewers wouldn’t get bored. Finally, you need to invest a lot of time and energy in the video-editing work. Only once you’ve created a masterpiece, you have the right to hope that it will become viral!